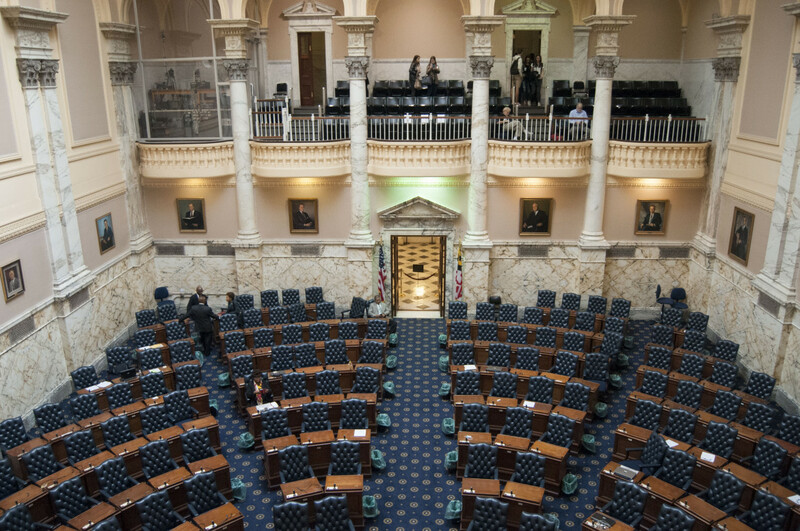 As we look back to the future this week, the problems of congressional and legislative redistricting are not new in Maryland, and potential solutions aren’t particularly new either. Maryland’s Constitutional Convention of 1967 dealt with the same issues Gov. Larry Hogan’s Redistricting Reform Commission is grappling with this week: what kind of group should draw the lines, who should serve on it, what standards for the districts should they follow and even whether all the members of the House of Delegates should serve in single-member districts. Maryland’s 1867 constitution was rewritten a hundred years later after a long-involved process by elected convention delegates much like the current General Assembly. But voters ultimately rejected the entire document which had political opposition on many fronts, including its proposal for single-member delegate districts. Many of the reforms in the rejected constitution were implemented through individual constitutional amendments by Gov. Marvin Mandel, such as our current system of trial and appellate courts. However, Mandel and the legislature did not pass the bipartisan and somewhat independent Legislative Redistricting Commission the constitutional convention had proposed. Instead, in 1972, voters approved a constitutional change giving us the redistricting system we have now. It puts the governor in charge of drawing maps which lawmakers can only reject if they come up with their own plans. Redistricting was a hot issue in the 1960s because the U.S. Supreme Court had found Maryland’s legislative apportionment unconstitutional, particularly its allocation of senators by counties, rather than population. This change forced a major political shift in the legislature, eliminating rural dominance of a state rapidly becoming more suburban. The Constitutional Convention proposed a five-member commission to handle redistricting for both the legislature and members of Congress. The presiding officers of the House and Senate would each name one person, the minority leaders of each house would name a person, and the governor would name a fifth person. None of them could be elected officials. But the proposed 1967 constitution used the same language and standards for congressional districts as for legislative districts. That is missing in today’s state constitution, and establishing those standards is something the governor’s reform commission is hoping to accomplish. A number of witnesses to the reform commission, mostly Republican legislators and citizens, have also proposed adopting single-member delegate districts as a way of protecting representation of both partisan and ethnic minorities. Maryland is the only state that elects two-thirds of its House members in three-member districts. These districts, with campaign tickets that are formed, establish “control of a county or legislative district by a well-entrenched political organization,” said Marianne Alexander in her doctoral dissertation on the 1967 convention. These dominant organizations certainly didn’t like this provision in the constitution. Nor did they and incumbent courthouse officials like the constitution’s elimination of elections for sheriffs, clerks of the court and register of wills. These are among the reasons contributing to the constitution’s failure at the polls. Minority members of the current reform commission observed the lack of diversity in the 90 people who testified at five hearings, mostly white and over 55. They certainly wouldn’t have been impressed with the composition of the 1967 Constitutional Convention, which was almost entirely older white men, pretty much the make-up of most legislative bodies at the time.